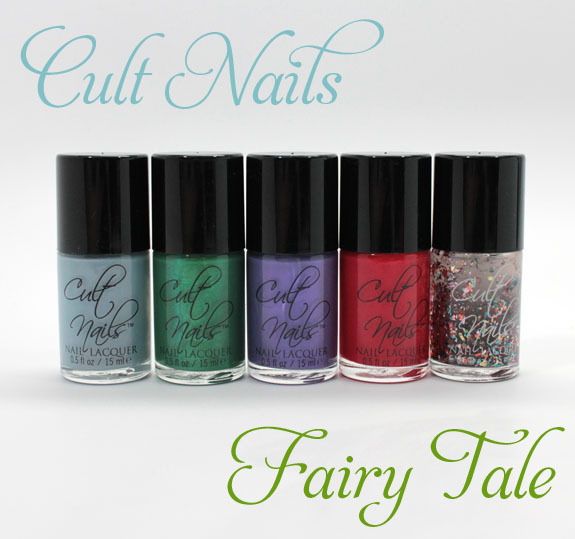 Cult Nails Fairy Tale is a new collection out this summer featuring five new shades. And check it: It’s available now for pre-sale ordering at a nice discount…The collection will not ship until June 15th however. So let us dive into the world of Fairy Tale! Princess is a pale blue with subtle pink/gold/green shimmer throughout. 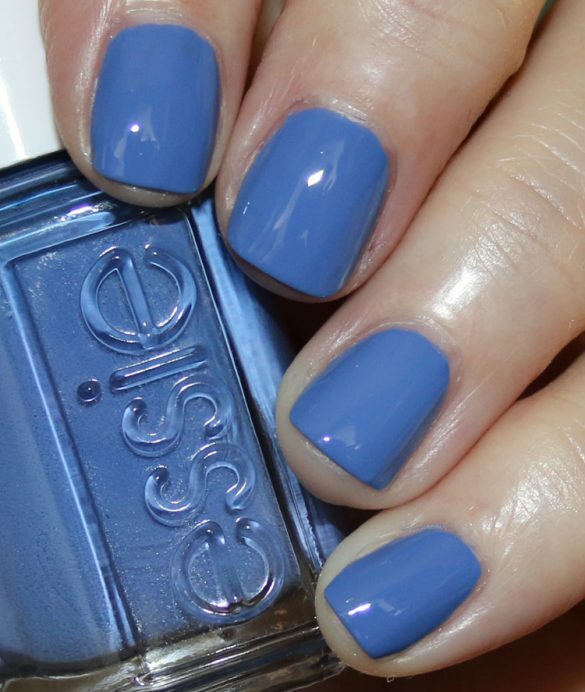 This is a really pretty shade, and not like anything else I own. 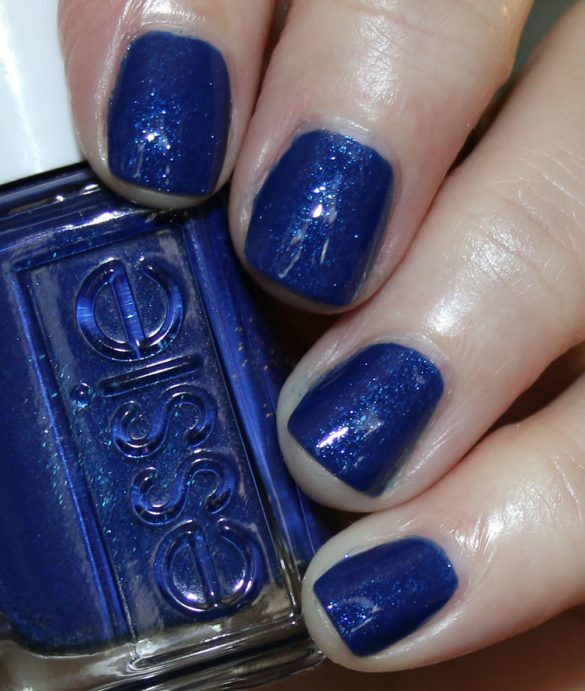 Love the base blue, but the unusual shimmer color makes it really special. Great creamy formula. I did use three thin coats here, but you could use two thicker ones. Feelin’ Froggy is a bright medium kelly green with light green shimmer. Very pretty! I love how shiny and shimmery this one is, and I don’t have very many green polishes this shade actually. Nice formula and covered in two coats. Charming is a medium violet purple with pink and blue shimmer. This one has a very squishy, almost jelly-like finish. I used three thin coats for this one as it’s a little more sheer. 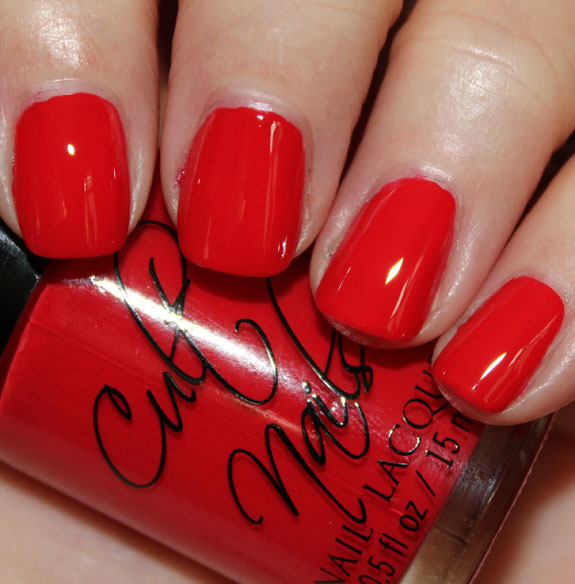 Evil Queen is a bright classic red creme. 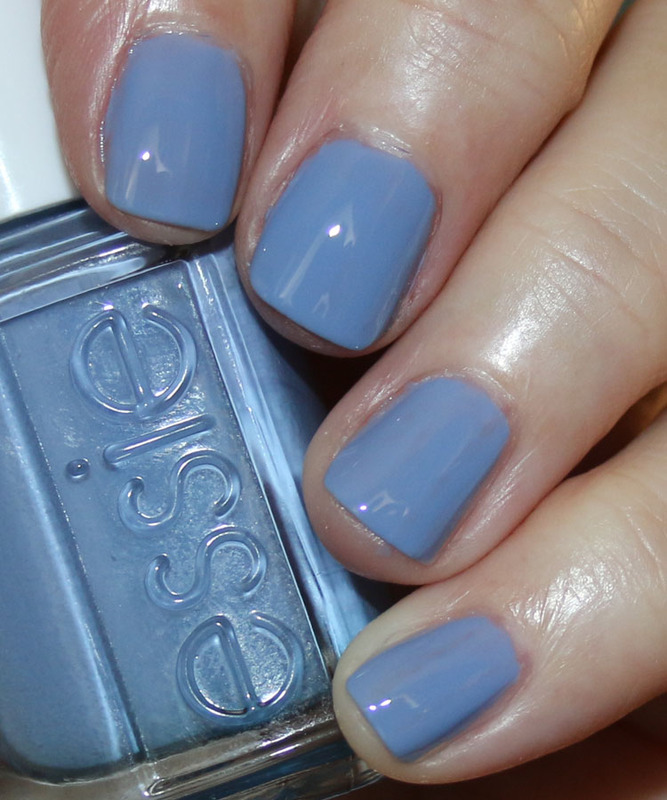 Shiny, opaque with a great formula. This was two coats. 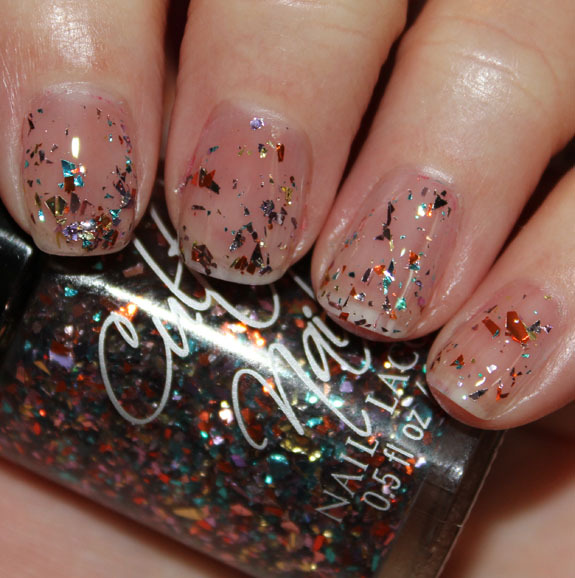 Happy Ending is a multi-colored glitter in a clear base. 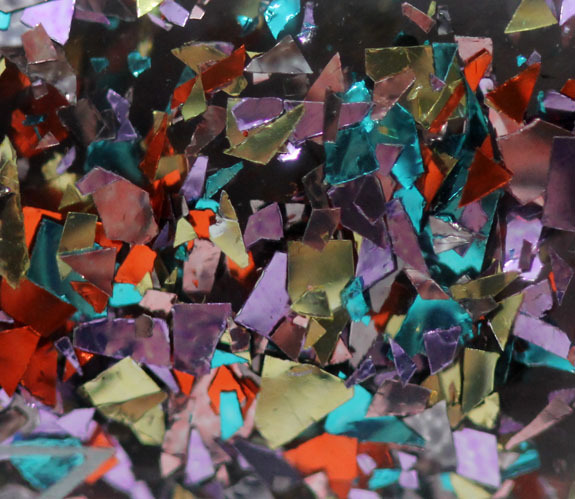 The glitter particles are like jagged shards of glass and all various sizes. The colors are purple, gold, blue and orange. I was really surprised at how thin the clear base was. I expected it to be really thick but it’s actually super thin. Almost too thin actually because every time I got glitter on the brush it wanted to slip right off back into the bottle. I had to work a bit placing the glitter pieces where I wanted. Overall: Nice collection! My favorites were Princess, Feelin’ Froggy and Charming. Evil Queen is a really nice red, but probably the least unique in the bunch. Happy Ending is definitely unique, and if you love glitters you will like this one. Pricing: Right now (pre-sale) $40.00 for all five. After that it will be $50.00 for all five, or $10.00 each. Now that you have seen the Fairy Tale collection, will you be pre-ordering any of them or ALL of them? 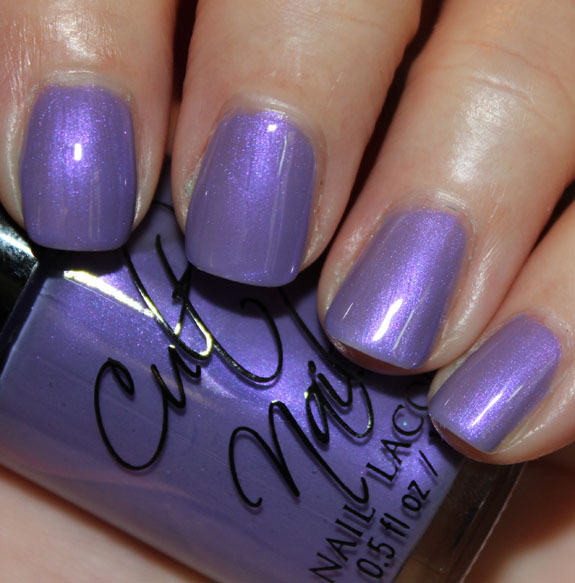 Note: Cult Nails is cruelty free. I love this collection! and I own some Cult Nails, all excellent formula. My favorite is Princess! Mara´s last post…Today is #FloamDay !!! I really like Charming because of its interesting finish. I can’t help it, I love them all 😉 Happy Ending would be my least favorite because I am not a fan of those shreds of glitter as they tend to stick out on my nails. 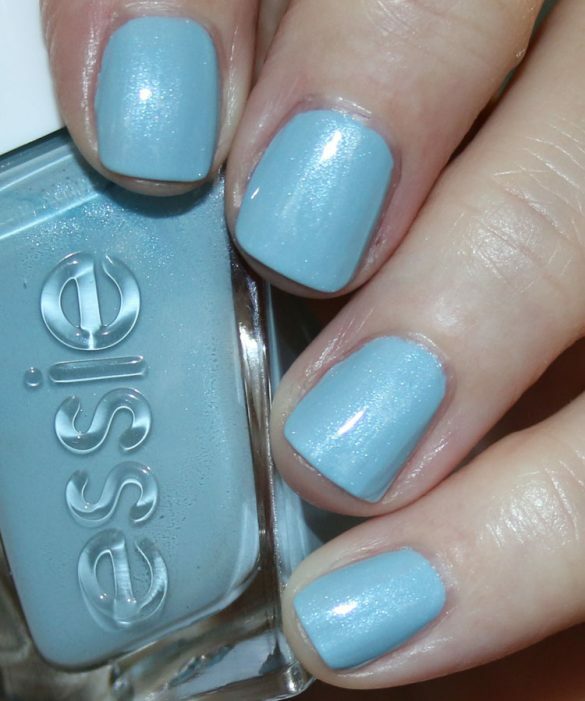 And Princess reminds me of Sinful Colors Cinderella. Do you know if they’re similar? Sabine´s last post…Floam Day is here! I’m liking Charming. The others not so much. They are so pretty, but my favorite has to be Feelin’ Froggy! Love green. Definitely will have to try them. Already ordered mine, and glad to see I love every color! Awesome hues as always. Thanks so much for the swatches! Thanks for sharing these beauties. I agree with Sabine and Sunny; I think Princess looks a lot like Sinful Colors Cinderella, at least in your swatches. 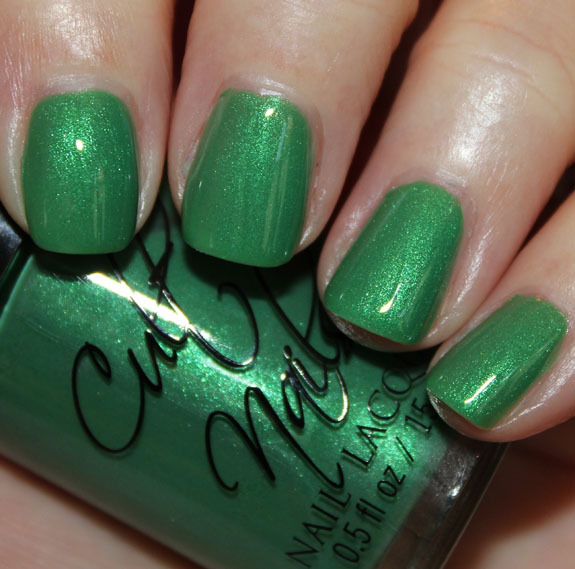 I have a similar green with shimmer, but I’m not crazy about the formula, so I love Feeling Froggy. And Charming. . . Well, that name says it all. Princess and Feelin’ Froggy are great! I love the shimmer in both. The glittery topcoat is interesting, but I’m not sure about the formula- I hate fighting to get enough glitter on the brush. Pretty! I don’t own Happy Ending, but from the pictures I’ve seen, it looks EXACTLY like Icing After Party…they’re so close, even though I don’t own HE, I’m going to say they’re exact dupes. I think Princess is my favorite from this bunch. No plans to pre-order as of now. I have a set to review and I LOVE Charming! It’s my favorite. I really like princess and Happy Ending (haha, nice name…) But that’s about all for this collection. Thanks for posting it! I am absolutely in love with this collection! Rebecca R.´s last post…Salt ‘n Peppa’s Here! Beautiful! Love the blue especially. I’m loving Princess and Feelin’ Froggy! 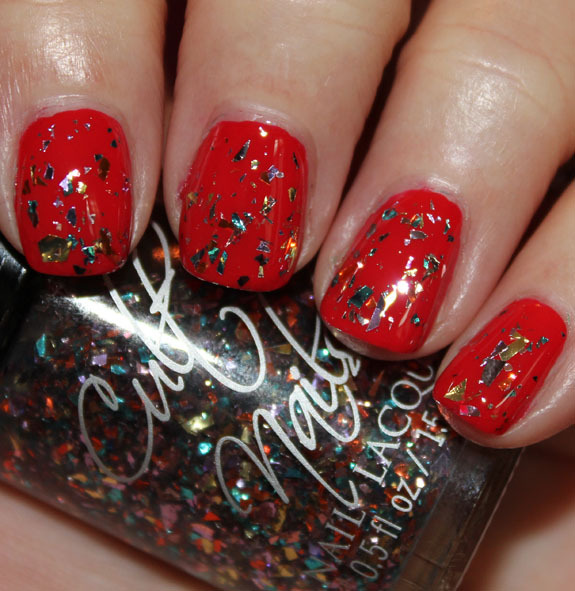 Swatch And Learn´s last post…Giveaway: Win a Set of 8 Nubar Nail Polishes! Charming and Evil Queen are my two favorites. 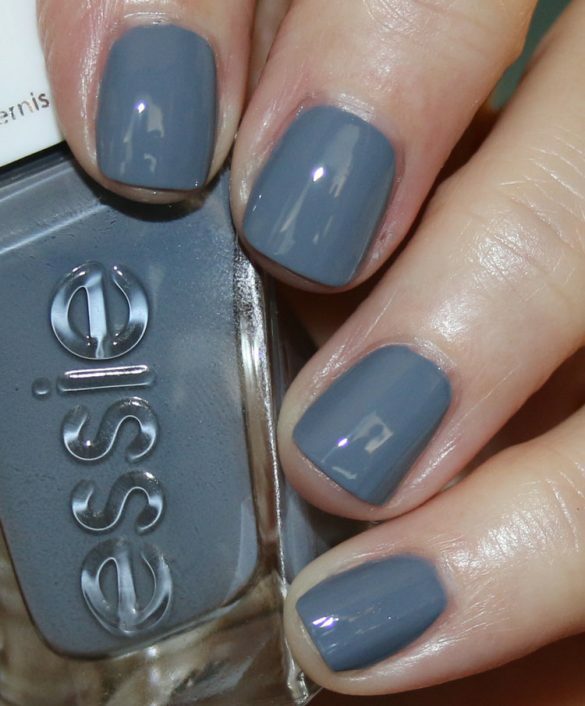 Really like their polishes, the formula is great. I love the shimmer in Feelin’ froggy! So pretty!